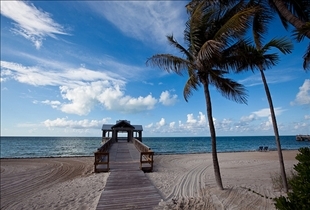 For most people who visit Florida, Key West and Miami are two destinations that definitely shouldn't be missed. Both places have their own distinctive features of course, and there is no reason why you shouldn't have a great time in either place. That being said, not everyone is fortunate enough to be able to visit both cities on the same trip. Therefore, we present this comparison article in the hopes of helping you make a more informed decision as to which one to go to on your next visit. Key West is a city in Monroe County, Florida. It covers the entire island of Key West, a portion of Stock Island north, Sigsbee Park and Fleming Key towards the north, and Sunset Key to the west. 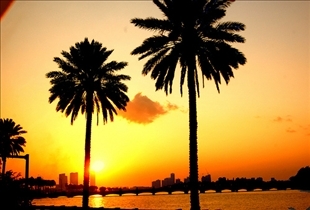 Miami is a city on the Atlantic coast of Florida towards the southeast. The city is actually the county seat of Miami-Dade County and it is the most heavily populated county in Florida. Key West is a particularly suitable site for sightseeing and biking, and this latter activity provides plenty of opportunities to explore the city’s rich historical heritage and distinct architecture, the most notable of which is the section known as Old Town Key West. The city also offers numerous cultural, entertainment and dining spots. Miami certainly isn't lacking in attractions either, with loads of entertainment venues, theaters, museums, parks and other entertainment and cultural centers to be found all over the city. Foremost of these is the recently opened Adrienne Arsht Center for the Performing Arts, which has the distinction of one of the largest performing arts center in the country, second only to the Lincoln Center in New York City. Miami is also the location of the Florida Grand Opera. Which Florida hot spot is better?